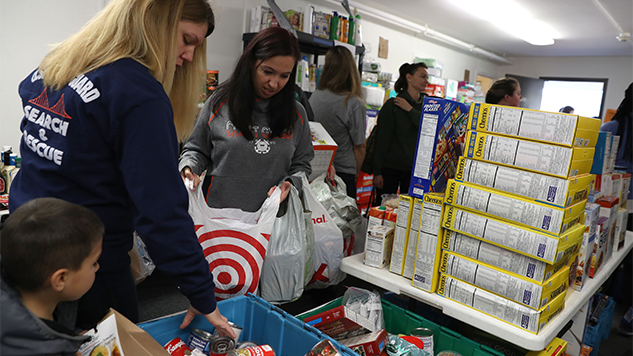 “But ultimately, I find it unacceptable that Coast Guard men and women have to rely on food pantries and donations to get through day-to-day life as service members,” Schultz added. If the shutdown lasts through Friday (Jan. 25), the Coast Guard head says their 8,000-strong civilian workforce faces potential nonpayment, as well. Schultz reiterated that he and Secretary of Homeland Security Kirstjen Nielsen “will continue to seek solutions.” Of course, Nielsen blamed the parents when a seven-year-old died in Border Patrol custody, so it remains to be seen if she actually cares all that much about the wellbeing of families. “I will continue, along with the Master Chief, to take to Capitol Hill the message the critical importance of putting paychecks in the men and women’s hands that serve in the world’s best Coast Guard,” Schultz added.